As you will know by now my name is Sam Frampton. I want to start by saying that I am delighted to have been offered to serve my curacy among you all at St. Peter’s, St. John’s, and St. Thomas’. I already know some of you because I was among you for the Parish Mission back in September 2016 and I am immensely excited to build on those existing relationships and making new ones once I am ordained in July. I was born in Portsmouth on the 13th February 1992. I spent most of my childhood in the surrounding areas of Portsmouth and Gosport and I have a great passion for the seaside because of it. When I was 10, the family and I uprooted and moved to France where we stayed until I was 15 and came back to Portsmouth. I always knew God had a calling on my life, when I was 6 I almost died from Meningitis and Septicaemia, and from then, I knew God was calling me to something. Coming from a non-Christian family, and in the most part stridently atheist, I chose my own faith journey. I was baptised as a Roman Catholic, and confirmed some years later. I discerned my vocation as a Catholic, but 6 years ago, after much prayer and discerning I was received into the Church of England and immediately knew that God had plans for me as an Anglican. I took on some pastoral assistant jobs and moved to St Albans to work at the abbey for a year, it was here that I began once more discerning my vocation to the ordained ministry. I was selected and recommended to begin training and started my training at Westcott House in September 2015. 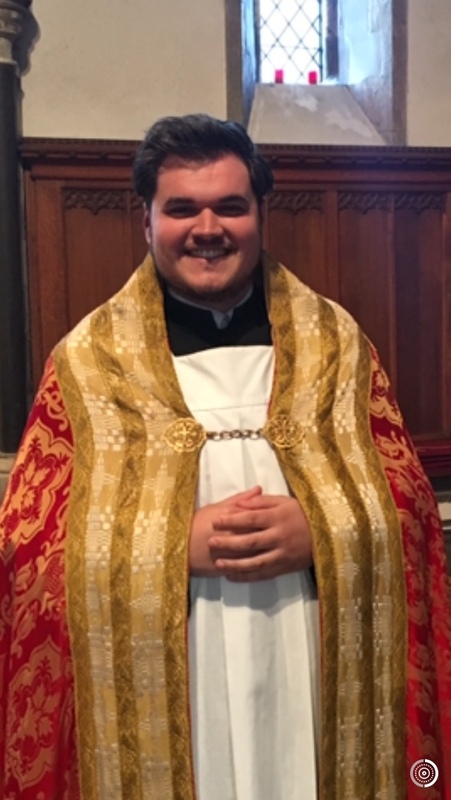 Having completed two years of formation, the time came to see where God was calling me to serve my curacy and I was offered to serve with you all in Mill End and Heronsgate with West Hyde . I am looking forward to being with you all and discerning along with Fr Simon, and the congregations what things God has in store for us over the coming months and years and building further the kingdom of God in these parishes.